Earlier this year at Google I/O 2010, I had a chance to meet up with the folks from Seesmic. 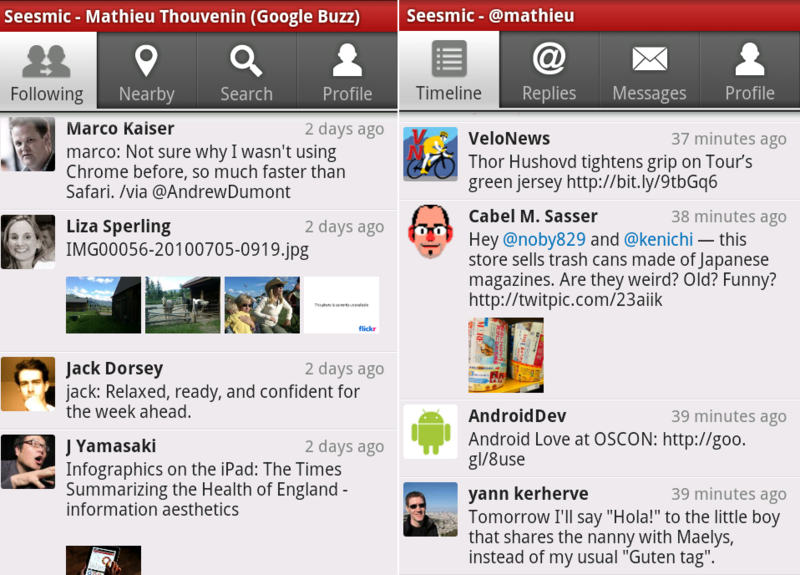 They previewed a beta of Seesmic for Android that brought mobile support for Google Buzz. They weren’t alone either, many competitors are doing just the same. Although the application was still in beta at the time, attendees of the conference were given early access. While I never got around to writing a piece about it, the final version (1.4) is now available in the Android Marketplace. While services such as Facebook and Twitter have tons of mobile app offerings, the selection for Google Buzz is still somewhat limited. While Google is heavily pushing their social platform, usage isn’t nearly as widespread as competing services. Even Google’s own Android users have limited options when it comes to accessing Buzz. Sure, there’s a native HTML5 web page, an official Buzz widget, and some functionality through the Maps application, but it’s not enough. Even Seesmic for iPhone users resort to an intermediary Ping.fm service to update Google Buzz statuses. Seesmic bridges that hole for Android users with their latest update. 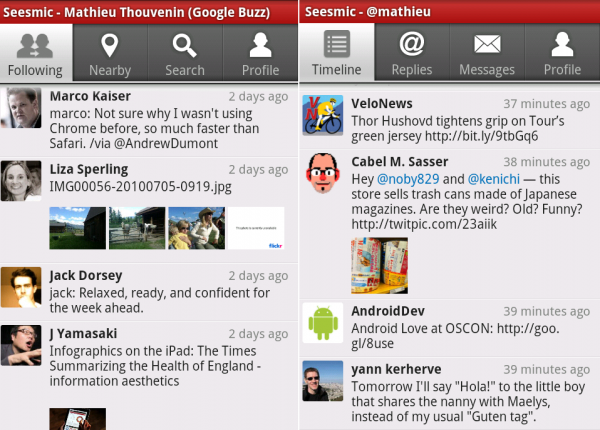 With a single client for both Twitter and Buzz, Seesmic is a great option. The company is also bringing Buzz along with Facebook support to their Desktop client soon. Competitors such as TweetDeck already offer support for Twitter, Facebook, MySpace, LinkedIn, Google Buzz, and Foursquare in their desktop client and support for Twitter and Facebook in their iPhone app. I’ve been a long time fan of Seesmic, but even despite this update, they still have plenty of catching up to do. Until then, I may have to jump back over to TweetDeck. 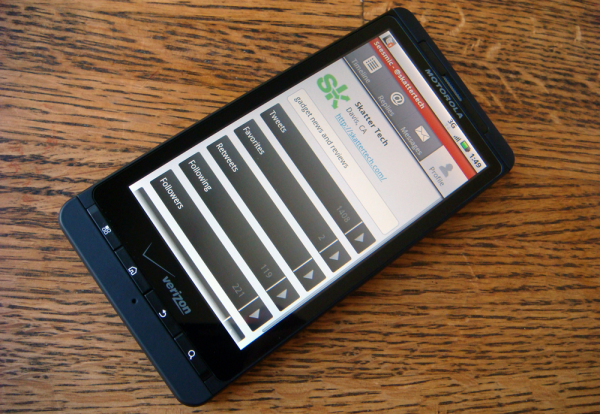 As the Android Marketplace grows, I’m excited for the feature-rich Apps that keep popping up. I’m hopeful that with this competition customers will win with a better client.